Does private health insurance take pressure off the public health system? 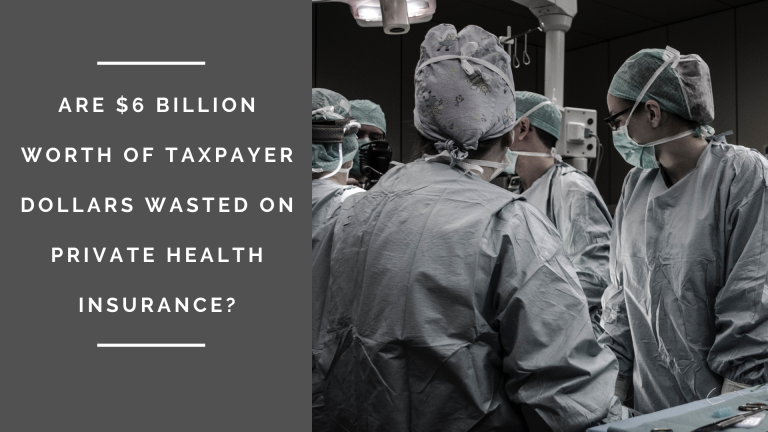 The government spends $6 billion a year on rebates for private health insurance. 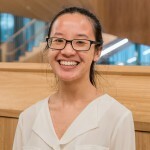 Thao-Mi Bui investigates if such hefty expenditure is worth it. For decades, Australia has sported a dual public-private health system. But although private health insurance (PHI) is a hotly contested issue with a relatively partisan divide, the policies that have been pushed out have been geared towards propping up the PHI industry. A range of sticks and carrots are used to encourage the uptake of PHI, with $6 billion alone spent annually on rebates for those with PHI. However, the social return on the monumental efforts put towards supporting PHI are questionable. What’s the justification for these policies and spending? The primary argument used when introducing the rebate in 1999 was that a robust private healthcare system would alleviate pressure on the public health system by diverting cases from the public to the private system. In the words of Tony Abbott, ‘every patient treated in a private hospital is one less patient on a public hospital waiting list’. It’s an appeal to common sense oft made by proponents of PHI. Indeed, the Chief Executive of Private Healthcare Australia noted that 25,000 knee replacements were paid for by private health funds in 2012-13 to illustrate how PHI relieves pressure on the public system. On an intuitive level, this line of logic seems to hold, but it’s a false assumption to make. Firstly, the Parliament of Australia’s research note highlights that the public and private systems deal with different caseloads – surgical and elective cases are often handled privately whilst ‘severe disease levels’ and emergencies are treated publicly. This suggests that there is limited capacity for a shift in the caseload from public to private. Proponents of PHI also like to hold up how the growth of cases in the private sector outpace that of the public system. However, a 2004 study from Melbourne Institute indicated this is in large part merely an overall increase in demand for healthcare services, rather than cases being diverted from the public to the private system. Indeed, the persistently terrible length of waiting lists and times for treatment in the public system is frequently referenced as an indicator that uptake of PHI does not relieve pressure on private services. Elizabeth Savage, a professor of Health Economics at the University of Technology Sydney, cites that although 50% of people had PHI at the end of 2000, waits for elective procedures like cataract surgery, hip and knee replacements remain unchangingly long. Indeed, a 2005 study by health economist Stephen Duckett indicate that increased activity in private sector is actually correlated with longer waiting times in some medical areas in the public system. These statistics suggest that uptake of PHI does not relieve pressure from the public system. However, using waiting lists and times as an indicator of the efficiency of a health system is questionable. They are not necessarily reflections of unfulfilled health needs, but are rather the product of a range of complex factors. One of these being that waiting lists continually expand as perceived capacity in the system grows. The rise of private healthcare, for instance, may contribute to health practioners’ perception that there is spare capacity, resulting in them placing patients on waiting lists who they would otherwise have prescribed less aggressive treatments. Regardless of the questionability of one statistic used by opponents of PHI, there is much other evidence that suggests there is, at the very least, over-investment in subsidizing PHI if the goal is to relieve pressure on the public system. This does not mean government should withdraw support from PHI entirely though. However, It does mean there needs to be serious review and reform. This article has thus far examined whether PHI functions effectively as a substitute. Much of the evidence suggests it does not. This does not mean that PHI cannot be made to work harder to relieve pressure from the public system. As Lesley Russell from the University of Sydney pointedly notes, there are financial incentives to sign up for PHI, but no incentives to actually make claims on it rather than defaulting back to Medicare. Alarmingly, only ¼ of Australians with PHI actually claim on it, suggesting that the blame lies not solely with the numbers registering for PHI, but the quality and breadth of the services offered. That PHI functions ineffectively as a substitute also does not nullify the fact that it might function well as a complement to Medicare, providing people with ‘extras’ such as optometry and dental care. Such a proposal would most likely mean cutting back on subsidies of PHI. Most importantly though, is that government actually carefully defines what PHI’s role is rather than blindly putting more money in to support an industry that needs structural reform rather than more subsidies. If PHI is to act as a substitute, then reform it. If it is to be a complement, then scale back appropriately. Without clear goals, haphazard policies will continue to poke holes in the public purse. 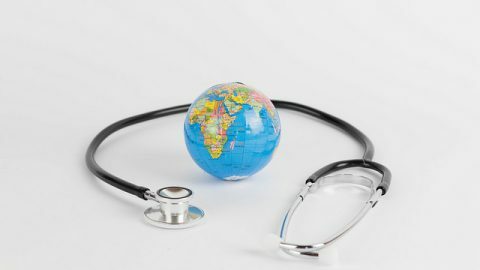 PHI’s current ineffectiveness in relieving pressure from the public system also doesn’t mean we can ignore the fact that other universal publicly funded healthcare systems around the world deal with issues of rising costs, access and quality. With concerns of an ageing population and lament with the current system coming to a head, whoever takes up the mantle following this year’s Federal election will have to sit down and seriously consider what role PHI can and should play in the nation’s health system and then consciously design policies to achieve proposed goals. US Health Care Reform on Life Support?